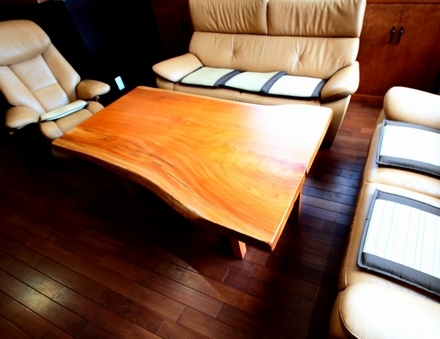 We made a delivery of Zelkova low table. 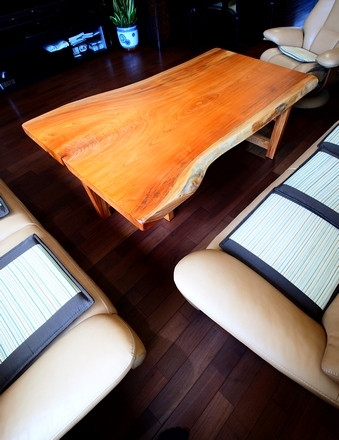 The table top has a clear grain unique to the zelkova tree, and also has a red undertone. The table is 1000mm × 1450mm, with a height of 500mm. The legs are made with the same Zelkova. The sturdy yet elegant low table matched the grand house well.